General Specifications With support for USB Power Delivery 3.0, the multiport adapter will power and charge your laptop, and power your peripherals at the same time, providing up to 85W of charging power, when using a 100W power adapter. Charging power will be less when using a lower-wattage power adapter. Supports Fast Role Swap of PD 3.0, to ensure the connected devices will not be disconnected when your power adapter is disconnected from the multiport adapter. 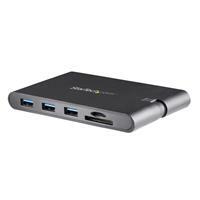 Each USB 3.0 port provides up to 7.5W of charging power, with a combined total of 10W when all 3 ports are in use. The charge provided depends on the number of devices connected and the amount of current each device draws. 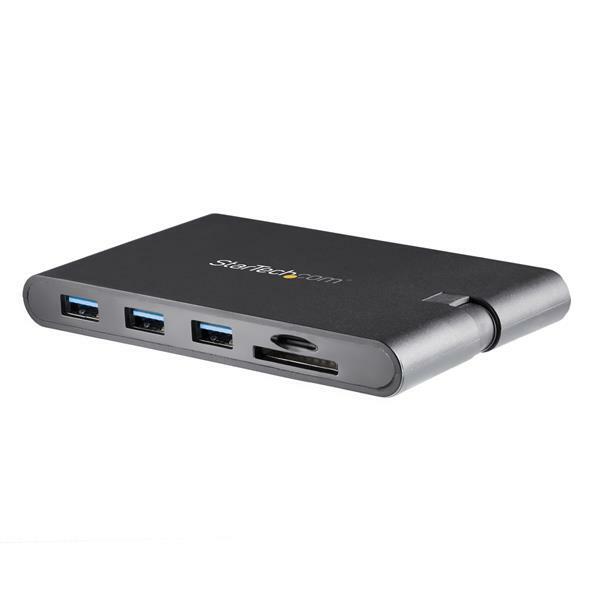 Each one of the three USB 3.0 (Type A) ports is also a fast-charge and sync port to charge your tablet or smartphone. Only one fast-charge port can be used at a time. Note Not all USB-C ports support the full functionality of the USB Type-C standard. Ensure that your host USB-C port supports USB Power Delivery 3.0 and DP Alt Mode. The adapter can connect to a host laptop’s USB-C port that doesn’t support USB Power Delivery 3.0. However, if your laptop’s USB-C port supports USB Power Delivery 2.0, it will still support PD pass-through, but it will not support Fast Role Swap. If you laptop's USB-C port does not support Power Delivery, then it will not support PD pass-through. Your laptop might have specific charging requirements. The USB-C adapter supports USB Power Delivery 3.0 to provide up to 85W of charging power, when using a 100W power adapter. Charging power will be less when using a lower-wattage power adapter. I have been using this docking station for several weeks with different ThinkPad laptops, Surface tablets and Galaxy cell phones. All have been working mostly without any issues. The dock comes in a box about the size of a few Blu-ray disk cases. The dock is about the size of my hand and has a wrap around cable that stores flush in its body. I can easily put the dock in my pocket to carry it around without any wire sticking out. 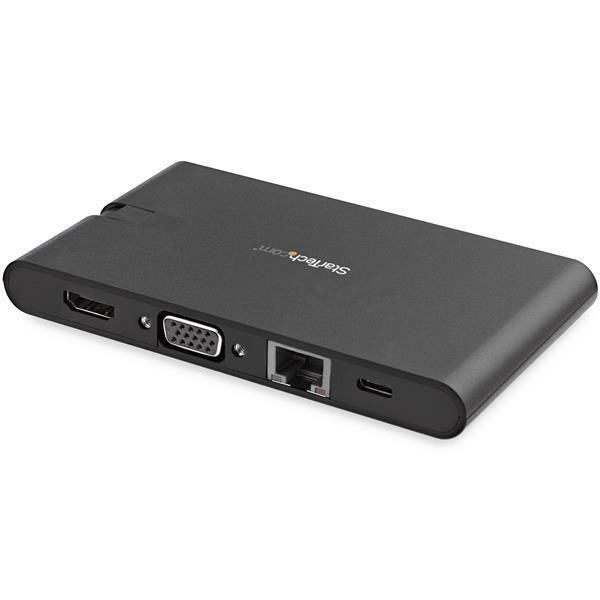 The dock has many ports (3x USB, SD, Micro-SC, VGA, HDMI and Ethernet) and it supports USB-C power pass through so you can charge your device while using the dock. When I connect the dock it is recognized almost immediately and starts working within seconds. The ports on the dock all work strait away without any delay. I had some issues getting the HDMI connection working with some displays but it worked no problem with others. The devices I had issues with worked fine with a different HDMI to USB-C adaptor so there is something up with the dock. Aside from the finicky HDMI connection everything else on this dock works great. If it weren't for the iffy HDMI connector this would be my new favorite dock. I will likely still keep it for traveling as it stores very well. I received this product in exchange for an unbiased review. I've tried a lot of these mini-docks. I have a bunch sitting on my desk but this one is by far the best one I've used. It has all the ports one would want. My small laptop only has 2 USB-A ports so this adapter allows me to plug other devices in other than just a keyboard and mouse which is great. The microSD card reader is a big plus meaning I don't need adapters for the regular SD card reader. And a huge plus is that it has both HDMI and VGA, not one or the other. So when I'm dragging my laptop into meetings for presentations, if the room has a VGA projector I can hook up to it still. My laptop doesn't have an Ethernet port so the gigabit port was another welcome addition. The form factor is nice, the cable wraps up into the body which is also nice. I highly recommend this product. I received this product in exchange for an unbiased review. The design of this adapter is amazing and makes this adapter super useful. 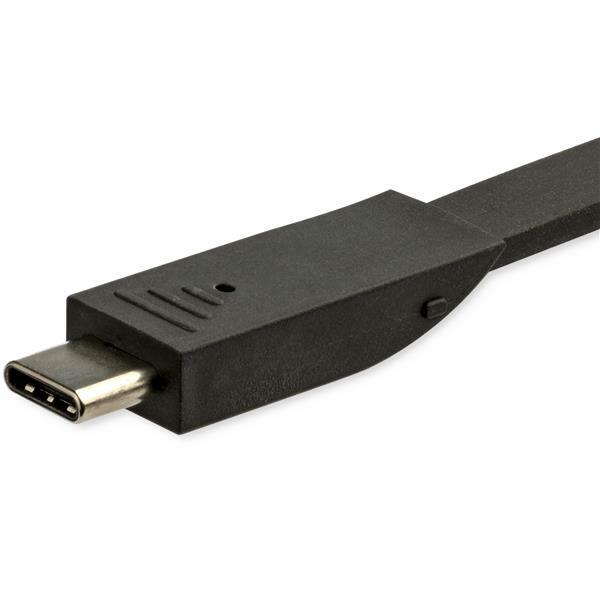 Many newer laptops are shipping with fewer and fewer ports making adapters like this essential. The amount of ports available on this adapter is astounding for its size and weight. While I typically prefer detachable cables this wraparound cable is very convenient. I really appreciate the power delivery available through the USB-C. The microSD and SD card reader is a plus for any photo professional and the 3 USB 3 ports are a huge plus for connecting extra devices. I highly recommend this adapter for those wanting a light weight portable docking station. I received this product in exchange for an unbiased review. I just reviewed the DKT30CHCPD this morning, because I carried it all week last week. But I had this one in my pocket as well.... And THIS device wins. Both devices performed perfectly. It's just that this one has extra USB3, a VGA port, AND SD and microSD slots, with hardly any size difference! So, this is my new go to device for mobile connections away from my office. Because of this ONE device, I now have 4 LESS devices in my "go" bag. Throughput is great, connections remain solid, and the cable tucks out the way completely. Being so small and smooth, means it can be carried in a pocket easily. I don't have any 4K HDMI here, but I can say that "standard" HD works just fine with monitors and TVs from this little box. Power throughput worked with Mac, Dell, and HP. (5 stars) Portable and very handy! Great and recommendable product! Useful and very handy especially in meeting /conference rooms. Display capabilities are satisfactory. All the ports are working as designed. Happy to have it! This might be one of the best StarTech devices that I have reviewed. 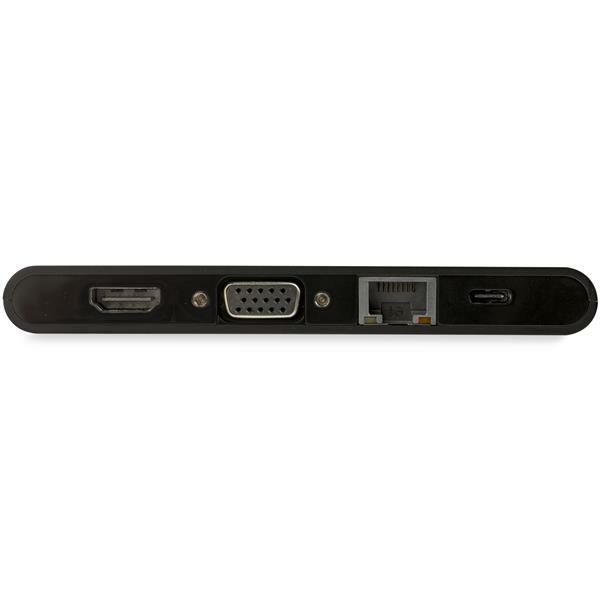 This device has every type of connection that you need (HDMI, VGA, RJ45, USB-A, SD Card, etc) and it fits in a shirt pocket. They also did a very nice job of creating a flat cable that fits flush within the device.